All children’s outfits by Magnífica Lulú are different and unique. The secret behind them lies in the fashionable fabrics we use and our made-in-Spain philosophy. We closely monitor the day-to-day production, hence the high quality achieved to meet our demanding customers’ needs. Our commitment is to keep on developing our collections with the same eagerness as the first day. 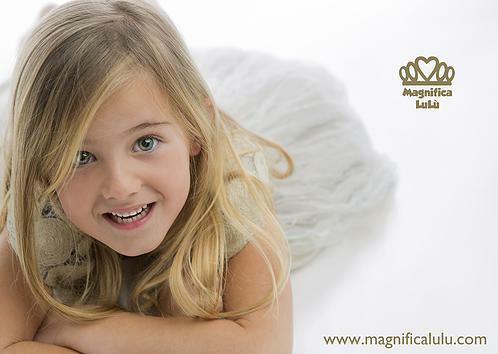 If you have any doubts, please contact us by sending an email to info@magnificalulu.es or calling us on +34 96 666 14 76.